These guestrooms are perfect for a couple or individual looking for some extra space. All of our king-sized beds include deluxe duvets and luxury pillows. 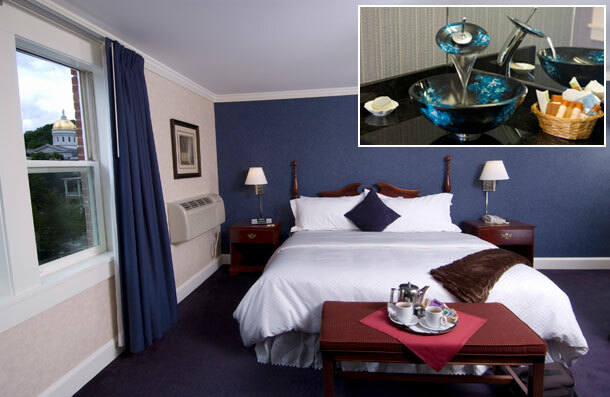 Our Colonial King rooms also include terrycloth robes, full Wingback chairs, wireless service, individual coffeemakers, and IHome clock radios.